Sergio Perez has admitted that the 2018 Formula 1 season was a "mentally intense" one to get through as not only did he have to focus on competing on the track, but also the uncertainty surrounding the future of his team, Force India. The Mexican continued to impress behind the wheel this campaign in which he finished eighth in the driver rankings, having been the only driver out of the top three teams of Mercedes, Ferrari, and Red Bull to claim a podium position. The tough moments, for him, came off the track as Force India were forced to go into administration due to financial difficulties, with only an eleventh-hour purchase from businessman Lawrence Stroll eventually keeping them in business. “It’s been a good year when you considering everything that has happened,” Perez said. “It has been a very intense season mentally with everything that I had to go through with the administration process of the team, negotiations and so on. “I ended up in a position that as a racing driver it’s never ideal to be in that situation, so considering that, the mental stress and all that I had throughout the season, I think it’s been a fantastic outcome. “A great outcome for the team, good results for me. “Without the retirement in Mexico, I should be just two or three points from [Nico] Hulkenberg to be best of the rest, but all in all, I think it’s been an alright year. 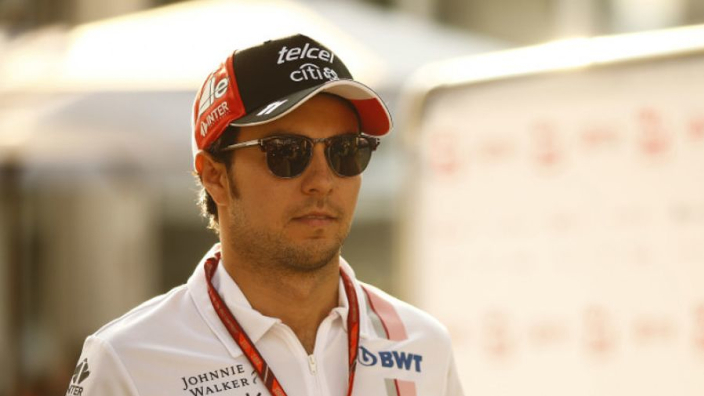 Perez has confessed that it became difficult to concentrate on driving, especially when the news filtered out in July that Force India were facing closure. “In July, it’s probably when everything, the news, came out, but there has been a lot of preparation going in too,” he continued. “There were very complicated months where at the same time I had to drive the car, try to perform at the very best, and it was never easy to do that. Following the takeover from Stroll, Force India were renamed Racing Point, with another potential name change in the works ahead of 2019.